Happy Thursday Babes! Things are crazy around our house with the new move and stuff everywhere!! 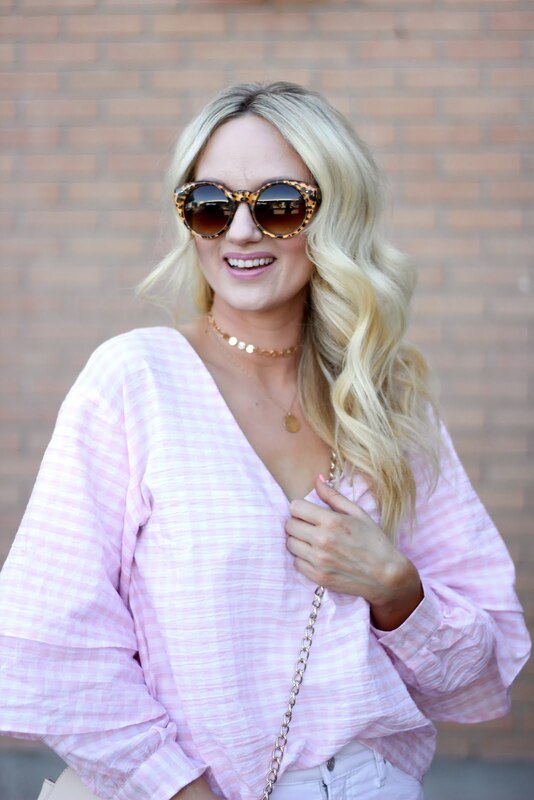 But, I wanted to share this gorgeous pink gingham top with you. It is the perfect little top that can be dressed up or down. You can wear it with shorts, jeans, or even a skirt! Even flats or heels, too! It also comes in a pretty blue color, but it sold out everywhere and this pink one is selling out quick too! However, I found an almost exact dupe of it for $19!! Linked above. Thats more than 50% off this one.